…The special prosecutor’s legal theory is unsupported in either reason or law. Consequently, the investigation is closed. Consistent with our decision and the order entered by Reserve Judge Peterson, we order that the special prosecutor and the district attorneys involved in this investigation must cease all activities related to the investigation, return all property seized in the investigation from any individual or organization, and permanently destroy all copies of information and other materials obtained through the investigation. All Unnamed Movants are relieved of any duty to cooperate further with the investigation...Our lengthy discussion of these three cases can be distilled into a few simple, but important, points. It is utterly clear that the special prosecutor has employed theories of law that do not exist in order to investigate citizens who were wholly innocent of any wrongdoing. In other words, the special prosecutor was the instigator of a “perfect storm” of wrongs that was visited upon the innocent Unnamed Movants and those who dared to associate with them. It is fortunate, indeed, for every other citizen of this great State who is interested in the protection of fundamental liberties that the special prosecutor chose as his targets innocent citizens who had both the will and the means to fight the unlimited resources of an unjust prosecution. Further, these brave individuals played a crucial role in presenting this court with an opportunity to re-endorse its commitment to upholding the fundamental right of each and every citizen to engage in lawful political activity and to do so free from the fear of the tyrannical retribution of arbitrary or capricious governmental prosecution. Let one point be clear: our conclusion today ends this unconstitutional John Doe investigation. Strikingly harsh words from the justices. The hyper-partisan special prosecutor's legal theory that was blown to bits in this decision was as follows -- via attorney and writer Gabriel Malor: "[The prosecutors alleged] that conservative groups had illegally coordinated with candidates for office by means of issue advocacy. Applying well-settled principles of election law, the Wisconsin high court holds that this goes too far because '[d]iscussion of issues cannot be suppressed simply because the issues may also be pertinent in an election.' The courts have long treated express advocacy—that is, speech directly supporting a candidate for election—as wholly separate from issue advocacy—that is, speech about political issues. The court explains that, insofar as the Wisconsin statute purports to regulate issue advocacy the way that it does express advocacy, it is overbroad and vague under both the First Amendment to the U.S. Constitution and Wisconsin’s own Article 1, Section 3." The rest of Gabe's analysis is here. As we've noted previously, the investigator's legal justification for their egregious tacts had also been thrown out of state and federal court, a fact that many media outlets indefensibly elided or ignored in their reporting. 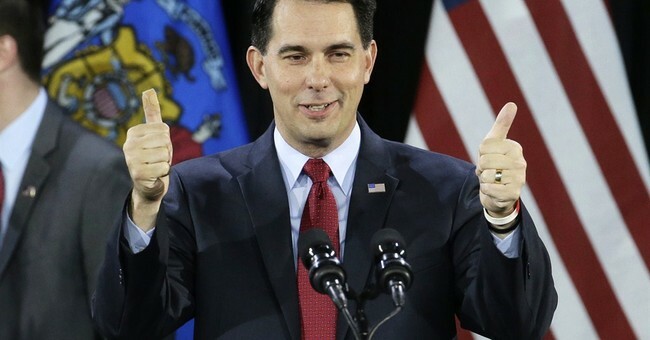 The entire investigation was designed to punish Scott Walker and the entire conservative movement in the state of Wisconsin. To reinvent their constitutionally-protected political activity as a criminal conspiracy, to shut down those activities indefinitely, and to silence their targets through oppressive gag orders. It was an outrageous injustice that has finally been rectified. As David French at National Review points out, even though the witch hunt has been halted once and for all, "John Doe-related legal proceedings are far from over. Already, raid victims have filed lawsuits against the prosecutors, alleging systematic and intentional violations of their civil rights. Further litigation is likely." 2. Make no mistake: The vicious, wretched WI Dem party won in this John Doe case. The point wasn't revenge, it was a future warning. That's why imposing sanctions on the persecutors is so important under these circumstances.